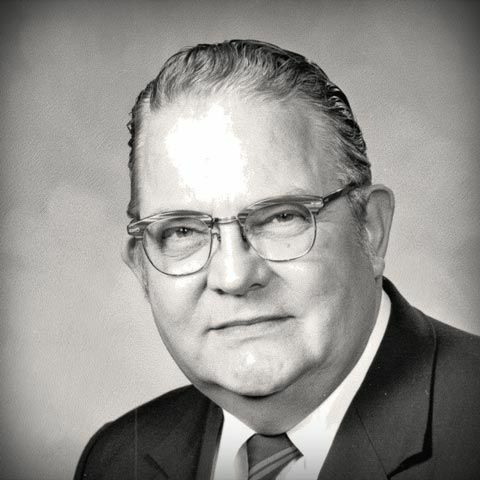 James T. Kallman moved with his family to Lansing, Michigan in 1957 after obtaining his Juris Doctor degree from Wayne State University that same year. He opened his solo law practice in South Lansing at 4410 S. Logan Street. He started his judicial career as a Circuit Court Commissioner (now District Judge) in 1960. He was appointed by then Governor George Romney as Ingham County Probate Court Judge in 1963, and he served there for 10 years. He was then elected and served as an Ingham County Circuit Court Judge for almost 20 years until he retired in 1991. He was elected to judicial office in Ingham County seven times. While serving as Circuit Judge, he also served as a Michigan Court of Claims Judge from 1978 to his retirement. He was a visiting judge for many years on the Michigan Court of Appeals. Further, he was a Republican Party nominee for Michigan Supreme Court in 1986. Judge Kallman was a founding member of the Michigan Judicial Tenure Commission, which is the disciplinary body over all judges in the State of Michigan. He was elected as an original member of the Tenure Commission by Michigan Probate Judges as their representative to the Commission. He was a member of the State Bar of Michigan, Ingham County Bar Association, American Bar Association, Michigan Judges Association, and many other legal organizations. He served on numerous community boards including: Big Brothers and Big Sisters, Sunrise Rotary Club (Past President), Lansing Safety Counsel, Camp Highfields, Capital Area Child Evangelism Fellowship, Michigan Counsel on Alcohol Problems, Upper Peninsula Club, Community Mental Health, Boy Scouts of America Executive Board, Lansing YMCA Board of Directors, and many other church and civic organizations. He was a guest speaker in over 750 churches in the State of Michigan. Judge Kallman graduated from Gladstone High School in Michigan’s Upper Peninsula in 1945. He then graduated from the University of Michigan in 1949 with a Bachelor of Arts Degree in Pre-Law/Political Science. He was a lineman on the U of M football team for Coach Crisler until an injury ended his football career. Judge Kallman served as an enlisted man in the United States Army in World War II and as a Military Intelligence Officer in the Korean Conflict. He was a graduate of the Army Security Agency Cryptanalysis School in 1951. Judge Kallman lectured and taught extensively throughout his career. He was an adjunct professor at Thomas M. Cooley Law School in Lansing, Michigan. He also taught at Michigan State University, Lansing Community College Police Academy, and various Michigan State Police Training Schools. Further, he was a guest lecturer at the Uppsala University Law School in Sweden in 1981. 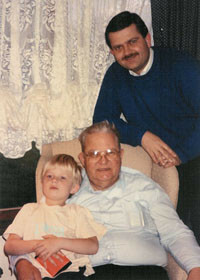 Judge Kallman practiced law with his son David for many years after his retirement from the bench. He passed away in November of 2001 and will always be remembered for his legal wisdom and experience that he utilized in helping people in the Mid-Michigan community. Kallman Legal Group continues to build on the solid foundation established by Judge Kallman with his son, David, and grandson, Stephen, following in his footsteps (all three generations pictured to the left). David and Stephen Kallman now carry on the family tradition of providing quality legal services. Kallman Legal Group is based in Lansing, Michigan. The firm has represented a wide variety of clients and cases. The firm was started as a solo practice by David Kallman in November of 1982. Since then, we have successfully represented clients from District Court all the way up to the Michigan Supreme Court and Federal Courts. Kallman Legal Group provides legal services to people all over the State of Michigan. We have also handled cases in Wisconsin, Illinois, Idaho, Indiana, and Ohio. We have done legal work in all the major cities in lower Michigan, including Lansing, Grand Rapids, Kalamazoo, Saginaw, and Detroit. We have also handled federal cases in both the Eastern and Western Districts of Michigan, and the Federal 6th Circuit Court of Appeals in Cincinnati.